Canada’s second largest national newspaper, the National Post, published a full-page story profiling Salesforce’s growth in Canada with the headline “Tech giant Salesforce is getting cosy with Canada”. The piece features interviews with Salesforce's Co-CEO Keith Block and EVP of Corporate Relations and Chief Philanthropy Officer Suzanne DiBianca, as well as Salesforce's Canadian customer, Interaxon. 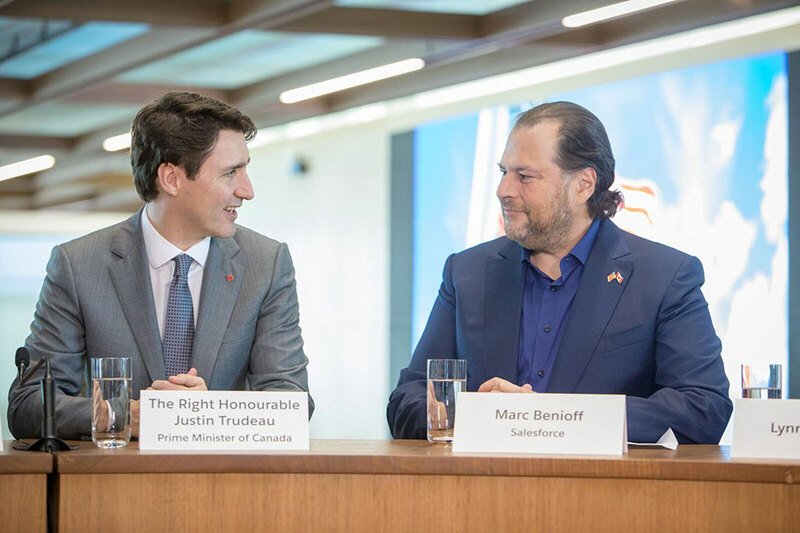 The article begins with a recap of Prime Minister Trudeau’s February 2018 trip to Salesforce’s headquarters in San Francisco as part of a broader tech tour. 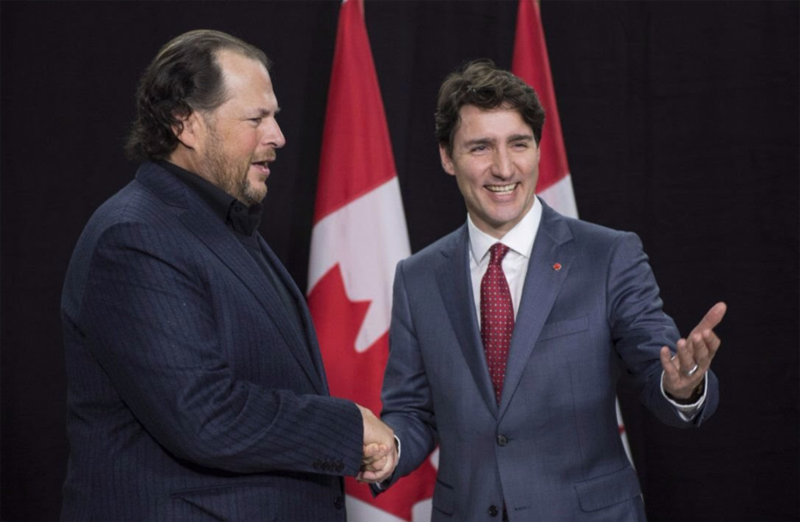 It highlights Salesforce chairman and Co-CEO Marc Benioff’s pledge to invest US$2-billion in Canada over the next five years, with goals to expand the company’s workforce, real estate and data centre capacity in the country. The feature goes on to explore key ways in which Salesforce is benefitting the Canadian market, including details about its AI platform, Einstein, which is becoming more intelligent and practically useful in a time when the Canadian government announced a $125-million Pan-Canadian Artificial Intelligence Strategy. The story also explores Salesforce’s workforce growth over the past two years and Salesforce Venture’s US$1-million Canadian Trailblazer Fund as tangible examples of how the company is contributing to the Canadian market. “We’re a values-based company. I think Canada is very much a values-based country. It’s a very open country. Equality is very, very important in Canada. Those are the sorts of things that resonate with us,” Co-CEO, Keith Block told the Financial Post at Dreamforce. Block listed the company’s core values of trust, customer success, innovation and equality, which are emphasized with Chief Philanthropy Officer, Suzanne DiBianca’s position that executives and developers, who are arguably the most sought-after employees, are the groups most strongly attracted to “a company that has a soul”. The Financial Post feature comes out of the national newspaper’s educational experience at Dreamforce 2018. Read the full story here.